The UK government has provided fossil fuel companies with £6.9 billion in financial support since 2000, according to a joint investigation by Unearthed and Private Eye. The support came from UK Export Finance, the government agency that underwrites loans and insurance for risky export deals as part of efforts to boost international trade. The vast majority of this support – £4.8bn – has been pledged since 2010, despite a government commitment to back clean technologies “instead of supporting investment in dirty fossil-fuel energy production”. In contrast, the total value of deals involving clean energy projects was just £39m – with the first deal for a renewable energy project being made in 2012. The news comes after UKEF’s budget was doubled to £5 billion by chancellor Philip Hammond in November as part of efforts to promote trade after Britain leaves the European single market. The new figures were calculated using a confidential database that was accidentally disclosed to Private Eye earlier this year. The database provides the most comprehensive list to date of the deals entered into by UK Export Finance (UKEF). Projects receiving government backing in recent years include a petrochemical refinery owned by Vladimir Putin’s son-in-law; oil fields owned by Petrobras – Brazil’s state-owned oil company – which has been at the heart of the country’s massive corruption scandal; and coal mines in Russia. UKEF – an agency of the Department for Trade – provides credit guarantees, loans and insurance designed to shift the financial risk of exporting goods and services away from businesses and on to UK taxpayers. “UKEF’s mission is to ensure that no viable UK export should fail for lack of finance or insurance, and it supports exports in all sectors. The UK’s oil and gas supply chain is a significant contributor to the economy, employing hundreds of thousands of people and generating over £40 billion in revenue annually,” he continued. View all energy deals from the database here. Since Brexit, UKEF’s budget for exports to Qatar and Angola – both huge hydrocarbon exporters – have been substantially increased. 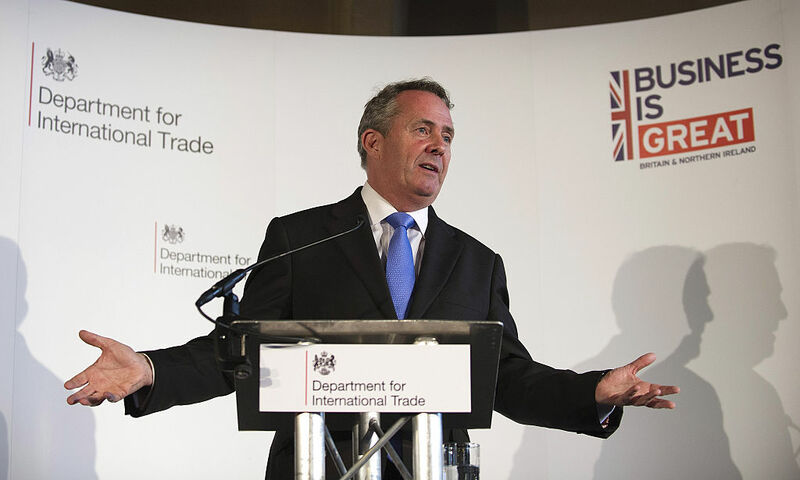 Trade secretary Liam Fox has also pledged £1 billion in export finance for trade with Colombia as part of a 5 year strategic partnership with the Colombian government to develop its offshore oil reserves. Fox told Colombian officials that he wants the UK to be the partner of choice for the country’s nascent offshore oil sector. These developments have led to concern that the use of the export finance budget to support fossil fuel exports will accelerate further post-Brexit – undermining efforts to tackle climate change. “It seems clear that this Government is set on negotiating a series of reckless trading relationships that will undermine many decades worth of environmental policies, whilst simultaneously failing to grasp the economic opportunities that come from the transition to a zero-carbon economy. It is a sign of the depths to which this Government has sunk that fossil fuels, the dirty energy of the past, may be the go-to for our trade deals of the future”, she continued. The latest UKEF announcements could add to a series of controversial deals made by the UK’s export credit agency. In October 2013 UKEF guaranteed a £45m loan to a Russian company part owned by Vladimir Putin’s son-in-law, Kirill Shamalov. The loan was made to help Russian firm Sibur Holding purchase the design of a petrochemical plant from Ineos, one of the world’s largest petrochemicals companies. At the time, Sibur was majority owned by two billionaire oligarchs – Leonid Mikhelson and Gennady Timchenko. Timchenko was placed under US sanctions in March 2014 – months after UKEF agreed the loan guarantee with Sibur – for being part of the Putin administration’s “inner circle”. Shamalov, who was Sibur’s deputy chairman and a minority shareholder at the time of the deal, has since increased his stake in the company to become a major shareholder. UKEF has provided loan guarantees worth £1.3bn to Brazil’s state-owned oil company Petrobras since 2011. This includes £555m after the Petrobras corruption scandal broke in March 2014. The company is accused of colluding with a cartel of construction companies to inflate the cost of contracts and pay billions in kickbacks to politicians. Last year Unearthed revealed that UKEF had issued a new £245m loan at the height of the political crisis sparked by the Petrobras revelations. In March 2016 – as people took to the streets across the Brazil to protest the scandal – UKEF was agreeing yet another line of credit with the oil company at the heart of the controversy. The confidential database reveals that the total level of support for Petrobras in 2016 alone was £361m. This enabled the company to purchase equipment for developing offshore oil fields from UK-based companies. Between 2011 and 2016 UKEF provided £109m to underwrite exports of mining equipment to coal mines in Russia – despite the agency’s commitment not to support “investment in dirty fossil-fuel energy production”. The majority of the credit – £98m – has supported deals between US-owned mining equipment firm Joy Global (UK) Ltd and Siberian Coal Energy Company (SUEK). The latter is one of the world’s largest coal exporters – including to the UK – and is majority owned by billionaire oligarch Andrey Melnichenko, through offshore firms in Cyprus and Bermuda. The document obtained by Private Eye provides the most comprehensive list to date of the deals entered into by UKEF since 2000. Much of the information has not been made public before due to concerns over commercial confidentiality and the potential to embarrass companies deemed too risky to export to without insurance. It also compiles 16 years worth of deals previously spread across UKEF annual reports – making it possible to analyse trends and levels of support for different sectors and companies. This has enabled Unearthed and Private Eye to present the most complete picture yet of the scale of UKEF support for the fossil fuel industry, as well as the sometimes controversial nature of these deals.